Recent history of Kazakhstan began in 1991. Overall it is possible to say that the fundamental changes in the economy, politics and social relations began to be notable at the beginning of this time. There were some cardinal changes adopted in the economy at that time. The former system which was based on the negation of private property went into oblivion. The birth of the new state is much like the birth of a new star: some burn quickly and descend from the firmament, others are destined to shine brighter and stronger. In the ninetieth years of the twentieth century, the deep processes, which began in the Soviet Union, led to the tectonic shifts that eventually led to the global changes: some new states suddenly appeared on the world map. And one of them is Kazakhstan. It was a difficult, controversial time, but the challenges of history at the turn of the 90s were adequately adopted by the First President Nursultan Nazarbayev. That is how the recent period started in the long history of Kazakhstan. Recent history of Kazakhstan began in 1991. Overall it is possible to say that the fundamental changes in the economy, politics and social relations began to be notable at the beginning of this time. At first, there were some cardinal changes adopted in the economy at that time. The former system which was based on the negation of private property went into oblivion. The strengthening of the private property rights led to the changes in the economic life and formed the basis of today's market; it is also had a big impact on political relations, becoming an economic prerequisite of political diversity. In addition, Kazakhstan has passed to the financial and economic autonomy and introduced its own currency - tenge. Secondly, the entire political system has changed in the 90s. Instead of the monopoly power of the CPSU, the political pluralism and multi-party system began to develop. The media are was no longer gray and monotonous; the censorship was no longer in use. The intellectual freedom comes to Kazakhstan. Finally, the modern time led to the fundamental changes in the spiritual life of man, in the minds of people. Instead of the former communist dogmas, the paradigm of civil society is begun to be used. Citizens actually received freedom declared in the Constitution of Kazakhstan. The reforms, which completely changed the face of the country, were launched in the 1991. Remembering all these changes, all the signs of the beginning of a "new era» for a new state, it is impossible to overestimate the role of Nursultan Nazarbayev. 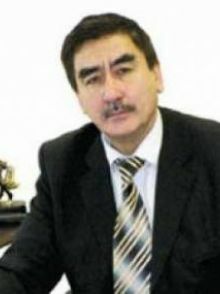 Being the Head of Kazakhstan, he initiated the radical reforms in all areas of post-Soviet society, which had a profound influence on the update of the CIS countries and ultimately on global processes. Becoming a political leader, he proved himself as a unique phenomenon of personal political and social life, who managed to build an independent secular and democratic state in the most difficult conditions. We cannot forget that Kazakhstan has not yet completed the process which begun in the 90s of the twentieth century, and the question of a change, in such period, has an extremely important nature. I believe that, Nursultan Nazarbayev, as Leader of the Nation, can and should finish the processes that were initiated by him in the last period. These considerations, I am sure, were used by the members of the initiative groups, which proposed the idea of ​​extending the powers of the President until 2020. The same was thought by the millions of Kazakhs who spoke in the support of the referendum. The popularity of the incumbent president of the republic is not unusual, because all important initiatives, all the ideas and projects that directly affect the stability and prosperity of the country, all of them came from the President Nursultan Nazarbayev. Because of its First President, our country has become recognizable and respected in the international arena. From the “post-Soviet country” Kazakhstan turned into a state leader of the Central Asian region, the country of dynamic developing and aspiring to the heights. In general, it is no exaggeration to say that in the recent history of Kazakhstan the name of Nursultan Nazarbayev written in golden letters. So should we be surprised by the fact that Kazakhstan is ready to leave the reins to its current leader? It should be noted that the Head of State paid special attention to national policy. In the ninetieth years of the twentieth century, due to various circumstances, Kazakhstan has become a multinational Republic. Nearly half million citizens of Kazakhstan are the descendants of those who were deported to Kazakhstan during the Stalinist period, the "dispossessed" Russian and Ukrainian peasants, Germans, Poles, Turks, Koreans and the nationalities of the Caucasus. Later there was a wave of large-scale evacuation during the Second World War. Subsequently, more than a million people arrived in Kazakhstan on organized recruitment, particularly in the 50s, during the development of virgin lands. The distribution of specialists after graduation had a significant scale in the 60-ies and 90-ies. Kazakhstan has been a home to these people, and the first president was able to turn this explosive "legacy" of the Soviet era into a genuine property of the republic. The creation of the Assembly of People of Kazakhstan, a consultative body of the President, one of the main objectives of which is to ensure equality of rights and freedoms of the citizens of the republic, regardless of their nationality, language, religion, membership in a social group, contributed to this decision. But this event happened 15 years ago, and yet the issues of inter-ethnic harmony and stability remain unsolved. Eloquent example: the adoption, in 2010, of the Doctrine of National Unity, which was the initiated by the Head of State. We can say that it is because of him the nation became the author of this document, the aim of which is to unite the Kazakhs: the draft of the doctrine was discussed, and there was a place in the final draft for the suggestions and comments, which were received in the course of work. Furthermore, in his regular appeals to the people of Kazakhstan, Nursultan Nazarbayev, in addition to clarifying the policy of the State, always stood with the calls to protect stability and mutual understanding, the main principles of the republic. Over the years of development of the sovereign state, the Kazakh President proved himself as a purposeful and decisive leader. The witnesses testified that Nursultan Nazarbayev was very demanding in terms of the execution of his initiatives as well as he understood the problems and feelings of ordinary Kazakhs. In his numerous trips around the country, the President visited not only the large facilities, which are necessary for sustainable economic development, but he also found time to visit schools, hospitals and roads that were under construction. Coming to the regions, Nursultan Nazarbayev willingly talked to ordinary workers, with people who could be the role models ... The First President managed to convince millions of Kazakhs with the bright future of their country, he gave people the feel that the government care about them, the feel that the needs and aspirations of ordinary people are always in the focus of attention of the State. So the initiative to hold a referendum on extending the presidential powers of Nursultan Nazarbayev until 2020, was taken as a sign of special people's trust in their leader.